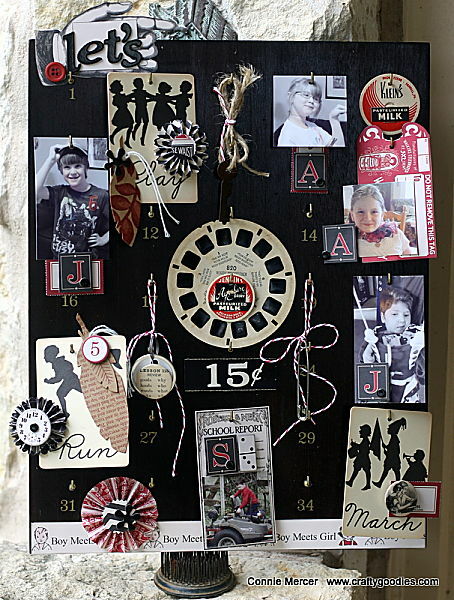 crafty goodies: Try It Tuesday~ remember the Hotel key board? So one step at a time. Here is what I created, using all of these cool embellishments, that represents 5 awesome grands!!! I started with Kraft cardstock and just started placing them on until it seemed balanced. 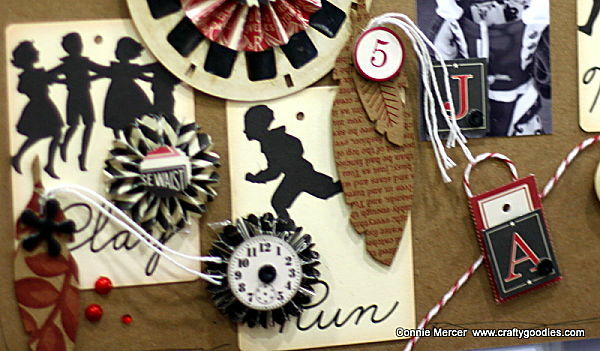 I have used ephemera and mostly Jenni Bowlin products. And I love it!! 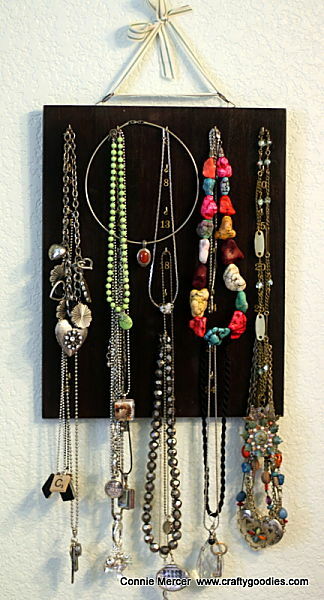 Love the look and love that my necklaces are all in one "cute" place!!! I love how you did this. I wonder sometimes what to do with my 3-D projects. This is a great idea. The layout is great and a nice reminder of the original project. 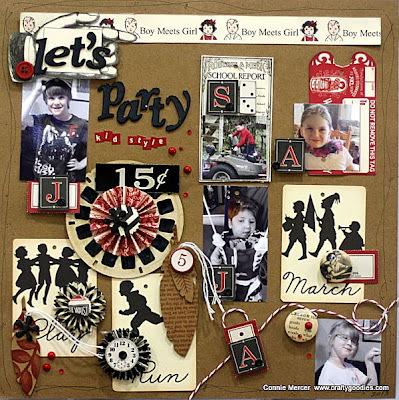 Fabulous layout, Connie! It's so fun that you can use that board for display and then rework the stuff onto a page. Ohhhhhh I love love love the lo!! LOVING the photos, the vintage tags and the viewfinder ... and loveeeeeeeee how you now display your jewelry!!!! All of the tags are great Connie. That is sooooo cool!! I love love love it. Love the project, clever idea.